John joined Southbridge Savings Bank and LPL Financial in 2005. 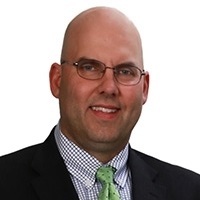 He began his career at a Wall Street firm after graduating from Bryant College and built his practice among several national financial planning companies. He has 20 years of experience helping people define their goals and navigate the options that exist in the financial world. His clients range from families and small businesses to corporate retirement plans. As part of the financial consulting department, his mission is to make sure bank customers and community members know all their options when it comes to investing and insurance. He feels clients are most successful when they have confidence in their decisions and he enjoys educating clients as much as advising them. John is past president of the Southbridge Rotary Club and active in several local charitable groups.